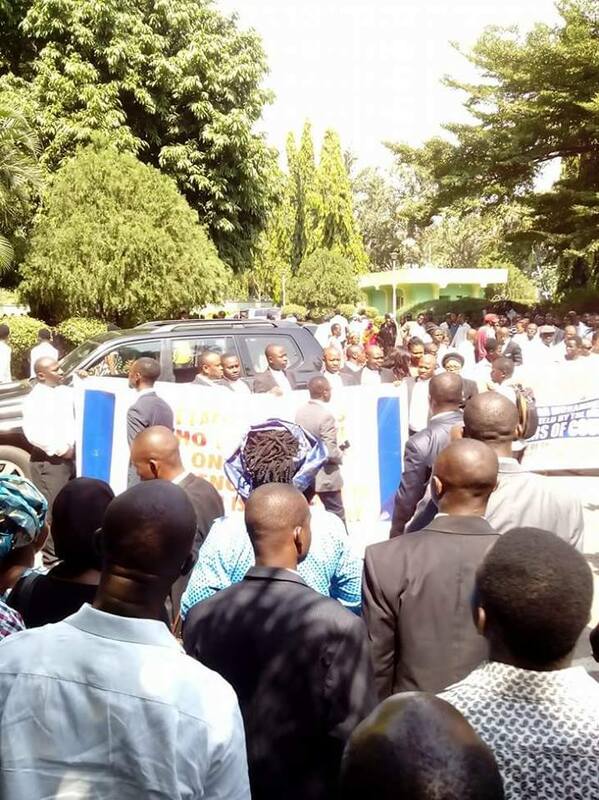 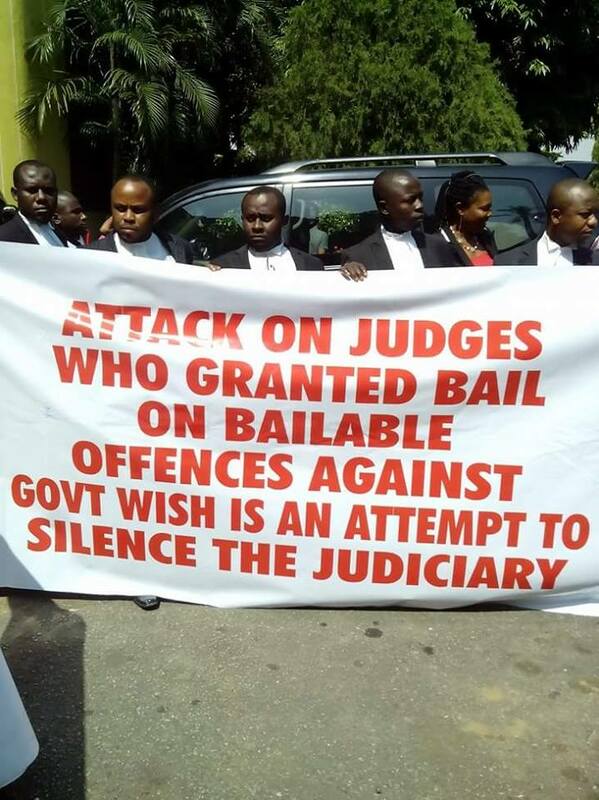 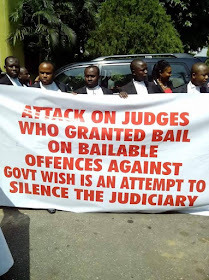 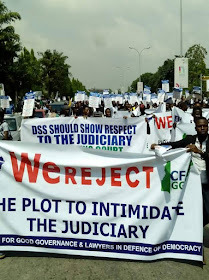 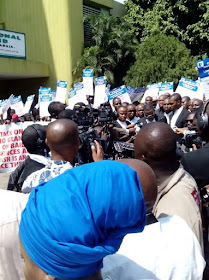 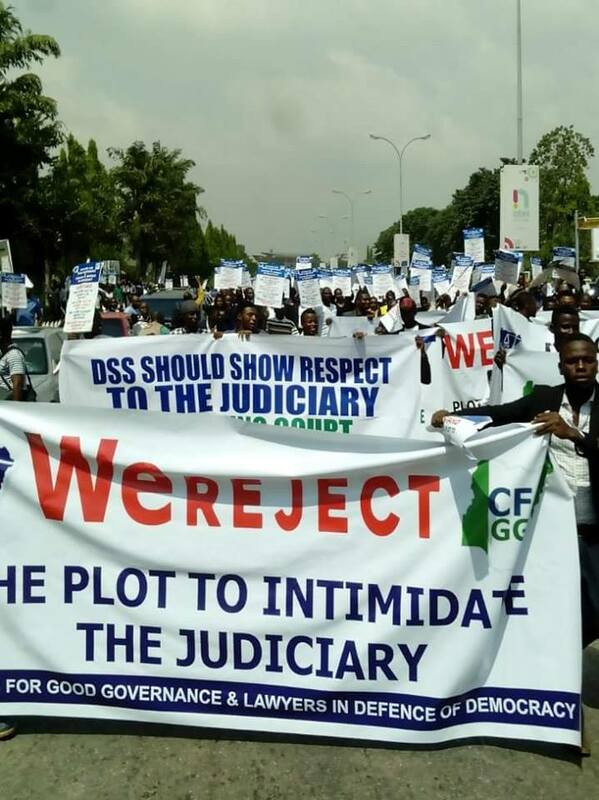 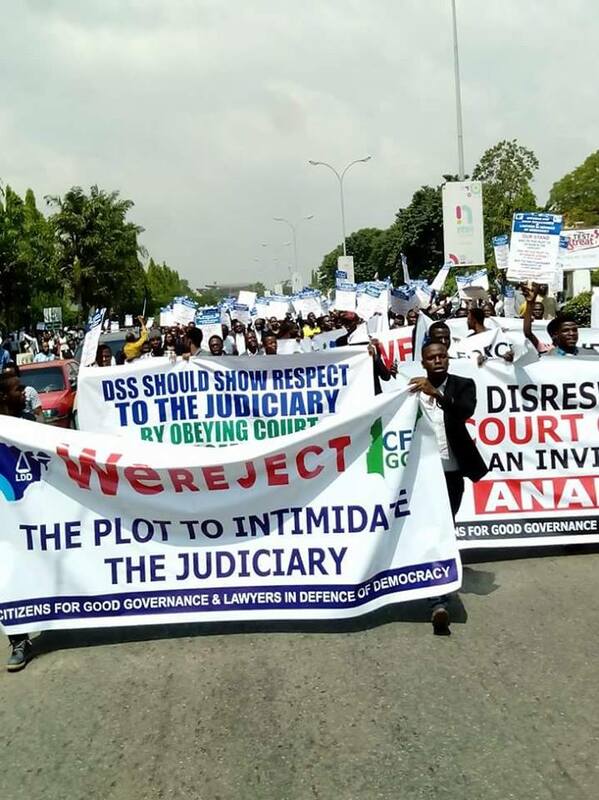 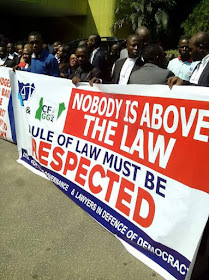 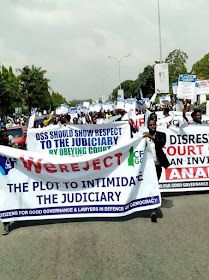 There is currently an ongoing protest by a group of people protesting against the arrest of judges by the operatives of the Department of State Service (DSS) some few weeks back. 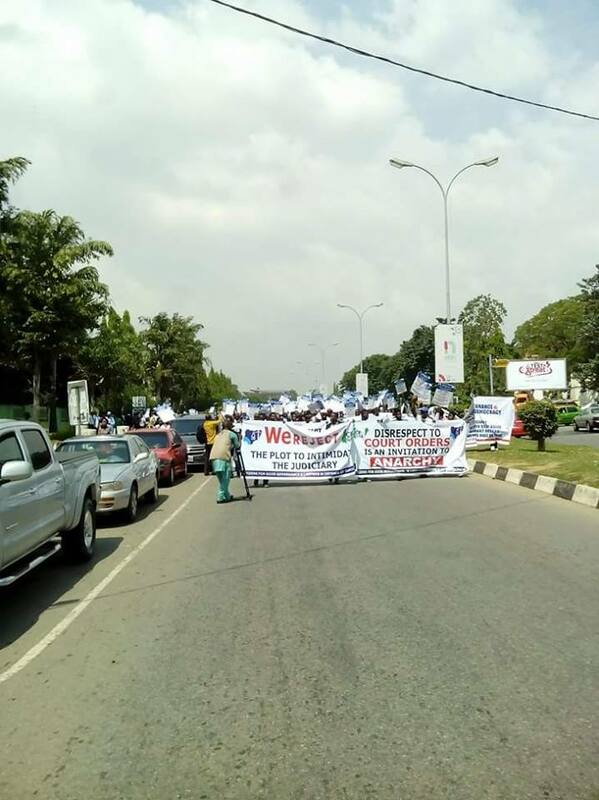 The protest is happening at the FECT, Abuja. 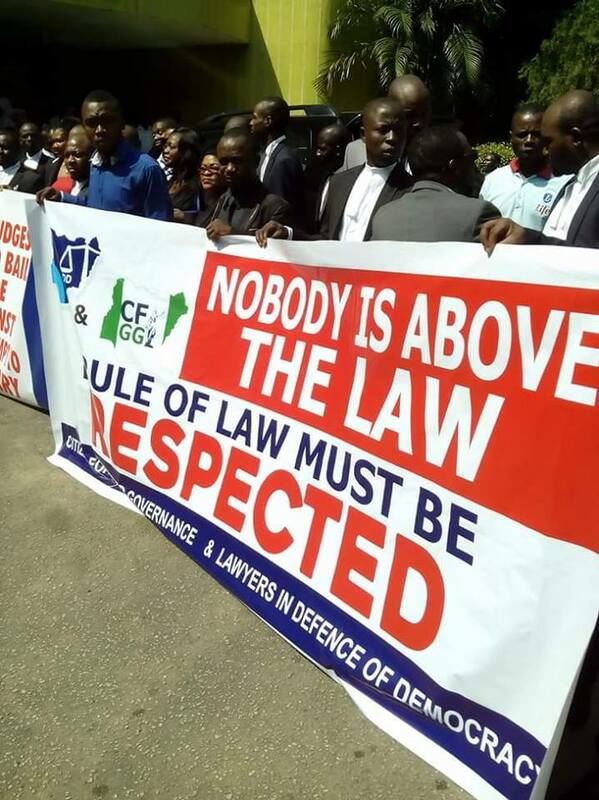 The group includes lawyers and those who appear to be judiciary employees.